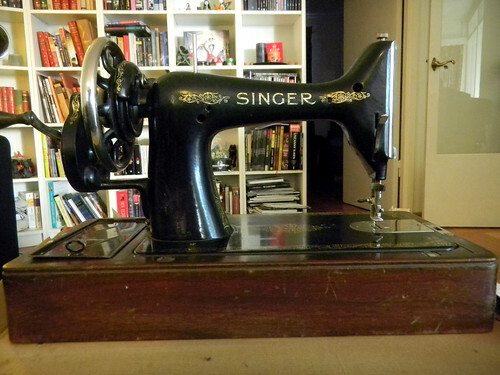 As long as I can remember I have wanted an old Singer sewing machine. The dream came true a few months ago. Oh joy! 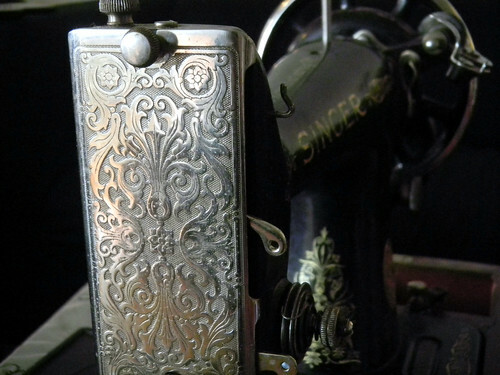 I got it along with many other vintage treasures (read more about that here) It is black with a hand crank and I love it. 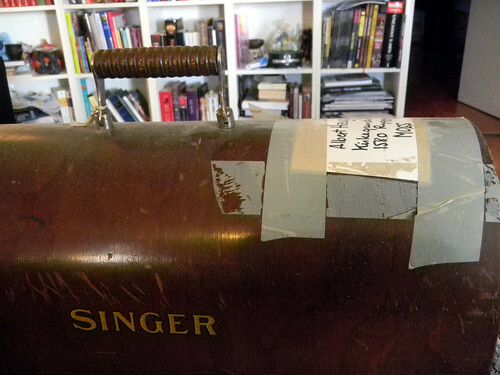 I was a little unsure of how old the sewing machine was, but Singer has made a very handy list where you can check the serial number and find out what year the machine was made. You can find the list here. 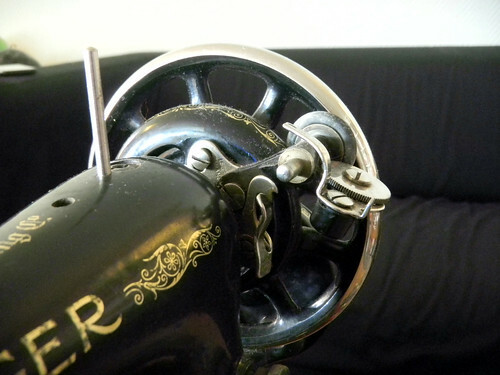 My sewing machine is from 1922. How cool is that? 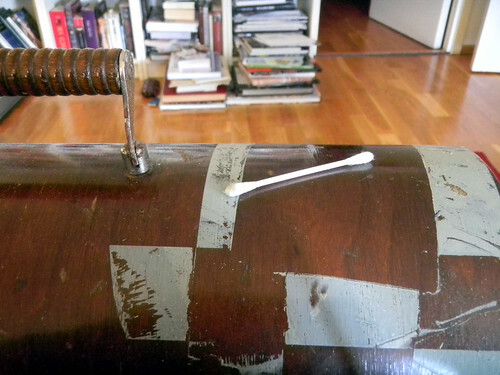 The sewing machine was in good condition, except that it needed a thorough clean. 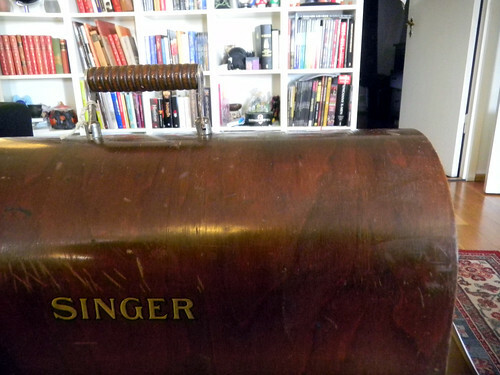 I started on the lid.